It has been a tradition of theirs to air a Christmas special every year before starting off with the primary 12-episode season in January, following year. “Sherlock” followed suit since both shows are ran by the same man- Steven Moffat. Unfortunately, Steven Moffat is going to leave the show after completing the tenth installment. The reason cited by him is excessive exhaustion. But there’s a silver lining to this. We can be assured that he’d leave no stone unturned to make this season the most exciting ever, to make his departure a memorable one. Steven Moffat revealed in a few interviews his plans for the show. He is planning to make the tenth season like a brand new show and would leave it as if it would all be the beginning. Guess this would also make it easier for the new director to steer the show the way he/she would want. 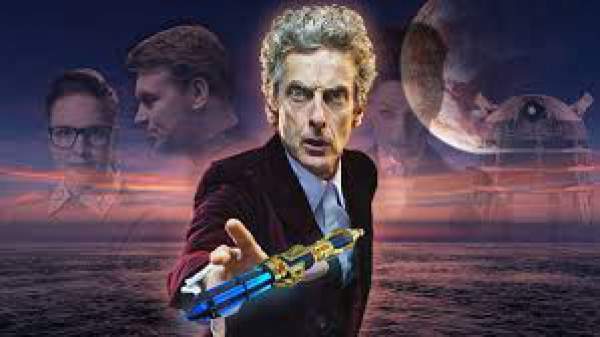 Peter Capaldi is going to remain in the show to play the Doctor this season but he might leave it with Steven Moffat. Filming of the show already began in June last month. The show would follow the standard 12-episode format preceded and succeeded by a Christmas special. The 12 episodes would start airing in spring-2017. The team wants to make it stand out as 2016 is piled up with many major events like Olympics and the Euro Cup. Pearle Mackie is going to be the official Doctor Who companion this season. Her presence would be different from all other companions. She would ask the questions others didn’t ask, and she is all zesty and cheeky enough to do all that. Comedian Matt Lucas would be returning to the show as Nardole from ‘The Husbands of River Song’. He’d be a regular character. The show’s writing team comprises of Steven Moffat, Mark Gatiss, Frank Cottrell-Boyce, Sarah Dollard and Mike Bartlett. A few others may be roped in later. Writers say that Doctor Who would be much more amenable yet darker this installment, though Peter Capaldi wanted it to be like season 9. In terms of the story, Doctor would engage in yet another cosmic battle to save the universe and would also be visiting an Ancient World. We’d get more space exploration and emotions this time. That is all we know about “Doctor Who” yet. Doctor Who continues on Saturday, November 7th with ‘The Zygon Inversion’ on BBC1 and BBC America.